"Music I heard with you was more than music, and bread I broke with you was more than bread." "The value of all our daily efforts is greater and more enduring if they create in each one of us a person who grows and understands and really lives. Or one who prevails for a larger and more meaningful victory—not only now but in time and, hopefully, in eternity." "Success never resides in the world of weak wishes, but in the palace of purposeful plans and prayerful persistence." "They who have no central purpose in their life fall an easy prey to petty worries, fears, troubles and self-pitying, all of which are indications of weakness, which lead, just as surely as deliberately planned sins (though by a different route), to failure, unhappiness and loss, for weakness cannot persist in a power-evolving universe." "Knowledge, ability, experience are of little avail in reaching high success if courtesy be lacking. Courtesy is the one passport that will be accepted without question in every land, in every office, in every home, in every heart of the world. For nothing commands itself so well as kindness, and courtesy is kindness." And a gentle word for all. To make it as smooth as we can." "Almost all really new ideas have a certain aspect of foolishness when they are first produced, and almost any idea which jogs you out of your current abstractions may be better than nothing." "All achievement, all earned riches, have their beginning in an idea.…Thoughts are things, and powerful things at that when they are mixed with definiteness of purpose, persistence and burning desire…"
"Rm. 12:2, Be not conformed to this world, but be transformed by the renewing of your mind. We are called to be people of conviction, not conformity; of moral nobility not social respectability. We are commanded to live differently and according to a higher loyalty." Life’s Question . . . . . . . . . . . . . . . . . . . . . . . . . . Rev. 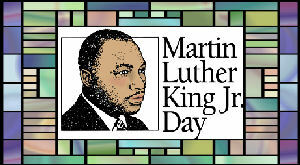 Martin Luther King, Jr.
"Life’s most persistent and urgent question is: What are you doing for others?" "Religion is first and foremost a way of seeing. It can’t change the facts about the world we live in, but it can change the way we see those facts, and that in itself can often make a real difference." "A word of appreciation often can accomplish what nothing else could accomplish." It is a simple fact of life that you’ll find what you look for. Significantly, the more good or bad you find in yourself, your job, others, your country, or your future, the more good or bad there will be to find. So, why not look for what you want rather than what you don’t want?" "The big problem that confronts Christianity is not Christ’s enemies. Persecution has never done much harm to the inner life of the Church. The real religious problem exists in the souls of those of us who in their hearts believe in God, and who recognize their obligation to love Him and serve Him—yet do not!" "The deepest personal defeat suffered by human beings is constituted by the difference between what one was capable of becoming, and what one has become." "Laughter is the purest form of our response to God. Whether or not the great saints were capable of levitation, I have no evidence. I do know that the saints had the power of levity.…Laughter is the purest form of our response to God’s acceptance of us. For when I laugh at myself I accept myself." "Real joy comes not from ease or riches or from the praise of others, but from doing something worthwhile." The late Thomas Merton once wrote that whenever he found himself struggling to identify God’s will in a given situation, he always resolved the problem by asking himself this simple question" "What is best for the folks around me?" Because we are made in God’s image and likeness, because we can allow God to express Himself through us in any given situation, we, too, struggle with God’s will in different life situations, and we need to ask ourselves the simple question: "What is best for the folks around me?" For Jesus said, "This is my commandment: Love one another as I have loved you." Into each day put equal parts of faith, patience, courage, work (some people omit this ingredient and so spoil the flavor of the rest), hope, fidelity, liberality, kindness, rest (leaving this out is like leaving the oil out of the salad dressing—don’t do it), prayer, meditation, and one well-selected resolution. Put in about one teaspoonful of good spirits, a dash of fun, a pinch of folly, a sprinkling of play, and a heaping cupful of good humor.